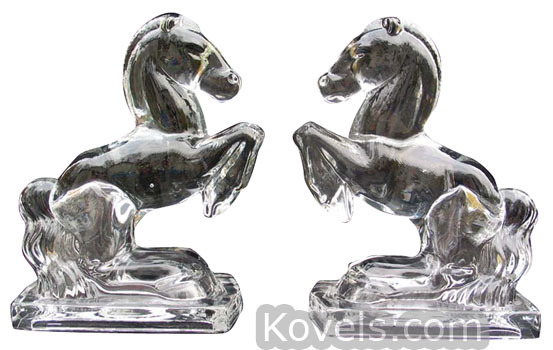 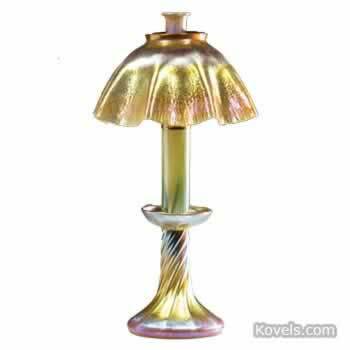 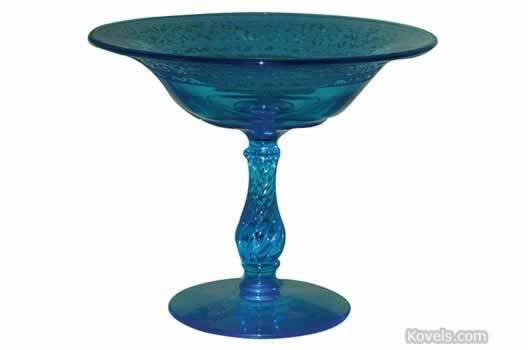 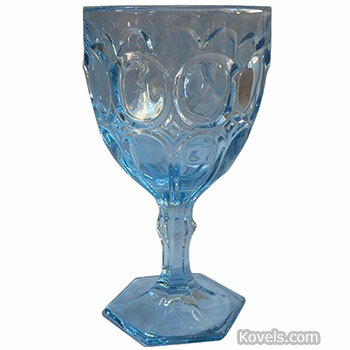 Fostoria glass was made in Fostoria, Ohio, from 1887 to 1891. 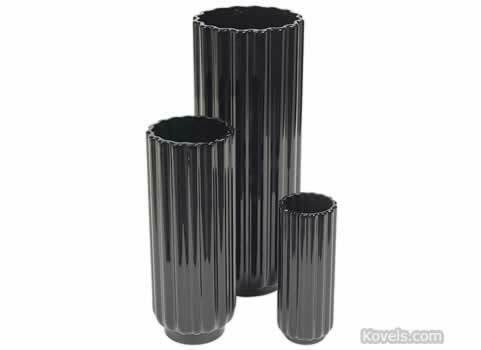 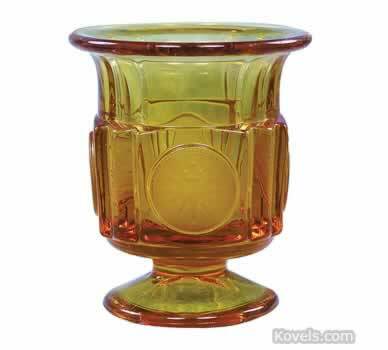 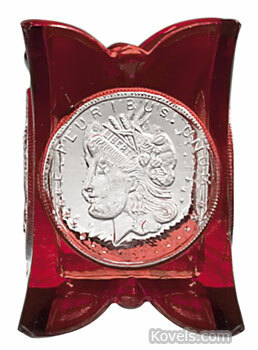 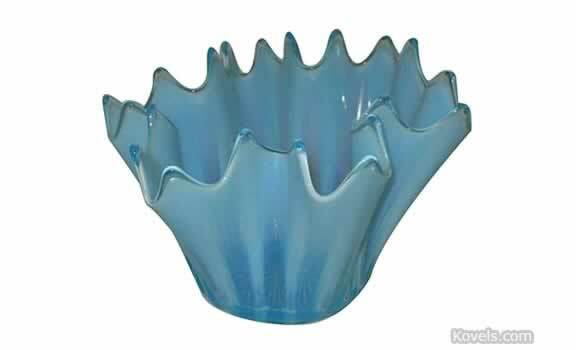 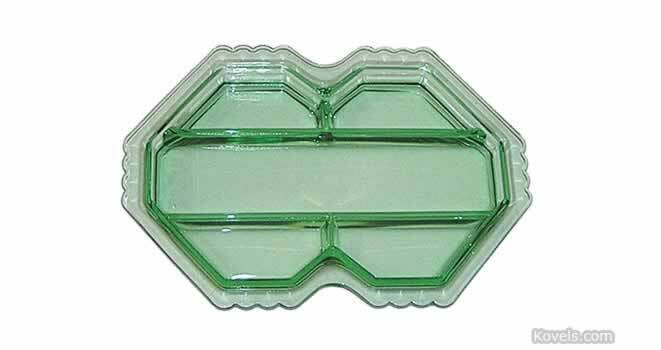 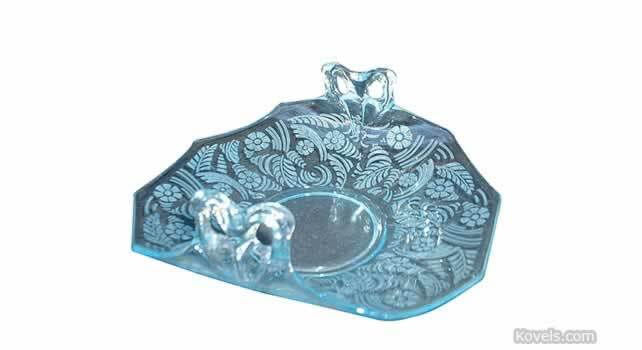 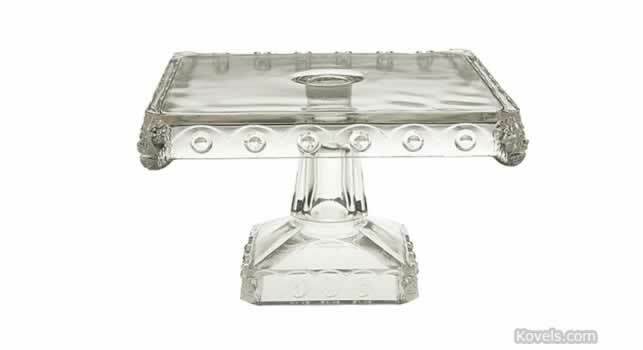 Then the factory moved to Moundsville, West Virginia, and most of the glass seen in shops today is a twentieth-century product. 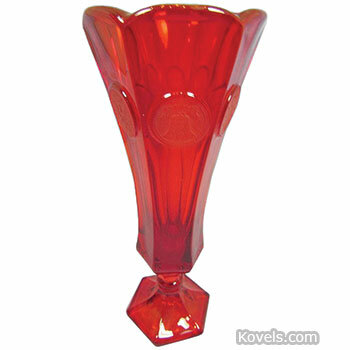 The company was sold to the Lancaster Colony Corporation in 1983 and closed in 1986. 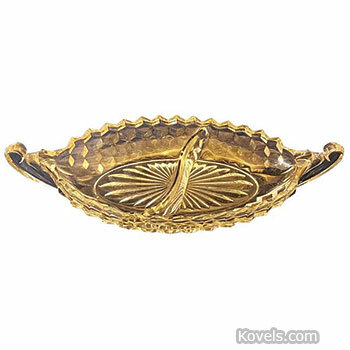 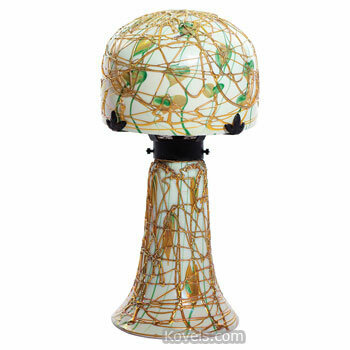 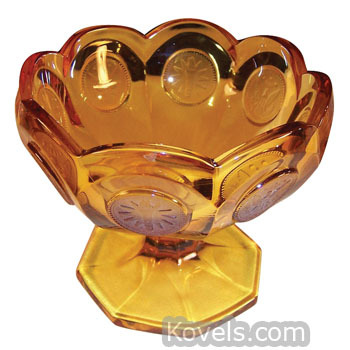 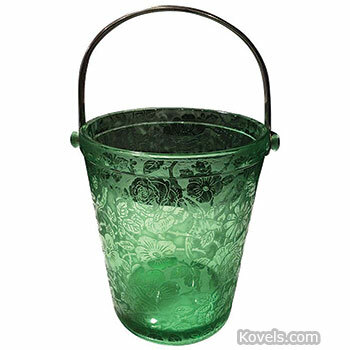 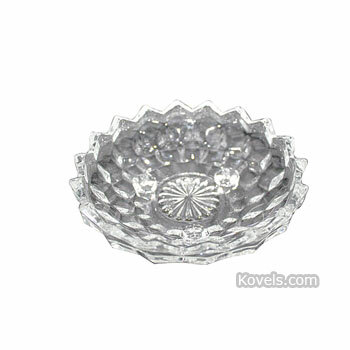 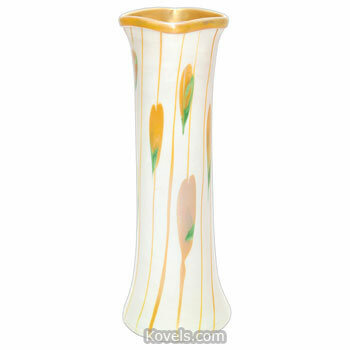 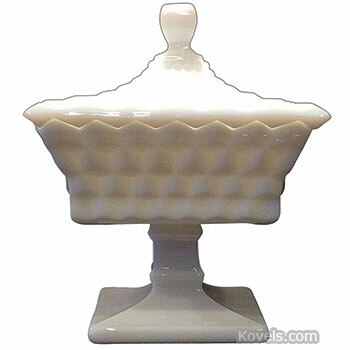 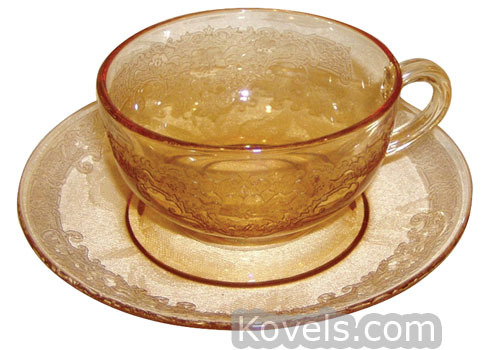 Fostoria floral-etched patterns like June Night and Versailles are popular with collectors. 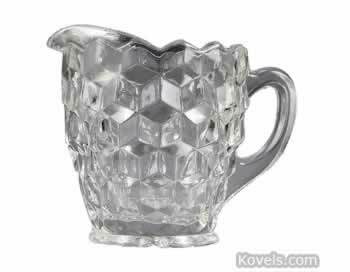 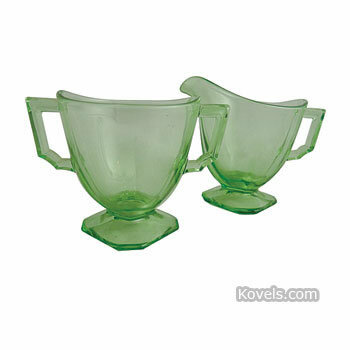 Additional Fostoria items may be listed in the Milk Glass category.